Everlasting Love Coin | BUDK.com - Knives & Swords At The Lowest Prices! 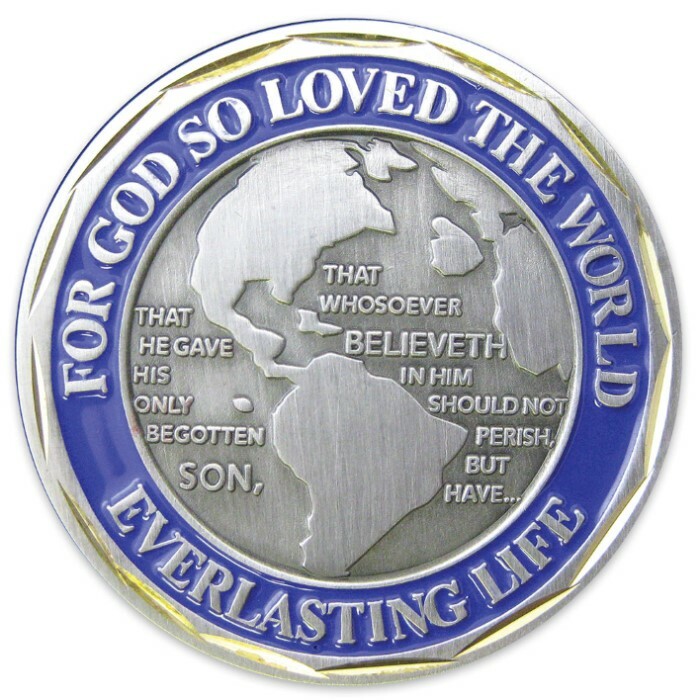 This collector's coin is a perfect tribute to the words of John 3:16. 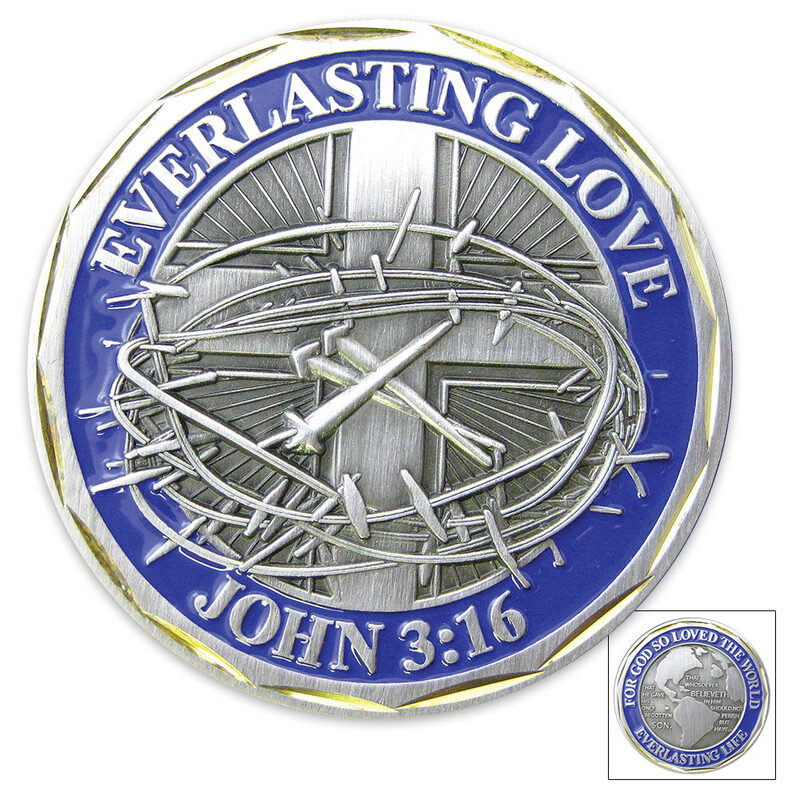 Carry this coin as a constant reminder of “the everlasting love” and “the everlasting life.” This bronze alloy coin shows an artistic representation of a cross and crown of thorns on the front, while the reverse side features a 3D relief of the globe with the verse.